A wrongful death occurs when a person is killed due to the negligence or misconduct of another party. While no amount of money can bring back a loved one or lessen the pain felt by the loss of a loved one, compensation can help the family of the wrongful death victim deal with funeral costs as well as the day-to-day costs of living. If the victim of the wrongful death was the major breadwinner of the family, that family will now need help paying the bills. That’s where our wrongful death attorneys and lawyers in Los Angeles come in. Forcing the guilty party to pay financially is also a way of making them take responsibility for their actions. It is a way to let them know that their actions were unacceptable, illegal, and that they must change going forward. Motor Vehicle Accidents: Every year there are more than 42,000 traffic fatalities in the United States. Drivers are required to follow the rules of the road and maintain their vehicles in such a way that they are not a hazard to other drivers. If a person is killed in a motor vehicle accident it may be grounds for a wrongful death suit. If the driver was negligent in their actions or they were driving a vehicle that was unsafe and that vehicle caused the accident wrongful death could apply. Product Liability: Every day we come into contact with hundreds if not thousands of various products. Nearly everything we touch, use or consume was made by someone else. Those who manufacture these products have an obligation to make certain that they are safe. Sometimes manufactures fail to properly test a product before selling it. Other times the product suffers from a design flaw or manufacturing defect. If the manufacturer knew of this flaw or defect and failed to notify the public and a person is killed due to this flaw or defect the manufacture can be held accountable for their negligent actions. Medical Malpractice: Few professions in this world require the dedication and level of education that the medical field does. We rely on doctors to give us the best care possible and often, literally, put our lives in their hands. If a patient dies due to a medical practitioner failing to do their job properly or not providing an acceptable level of care, it can be wrong death and grounds for a suit. Workplace Accidents: For many of us our place of work is where we spend most of our time when we are away from home. Workplace accidents can come in all shapes and sizes. From falls to explosions to equipment failures, many people die on the job every year. OSHA requires employers to follow an exacting set of safety standards in order to provide a safe working environment. Employers must also take reasonable steps to ensure employee safety. If an employer fails to provide a safe work environment or exposes their employees to unnecessary danger and this causes a person’s death it can be grounds for a wrongful death suit. These are the most common causes of wrongful death, but there are many others. Any case where a person dies due to another person’s carelessness or negligence can be classified as a wrongful death. 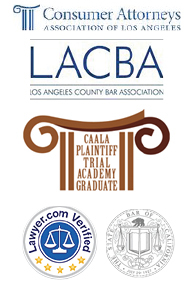 Our wrongful death attorneys and lawyers in Los Angeles can walk you through the process. Surviving members of the victim’s family can file a wrongful death suit and may be entitled to funeral costs, loss of future earnings, pain and suffering, as well as other damages. 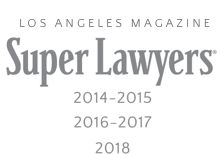 If your family has suffered a wrongful death and you would like to speak to our wrongful death attorneys and lawyers in Los Angeles, contact us here on our contact form or call us at (818) 210-4558.